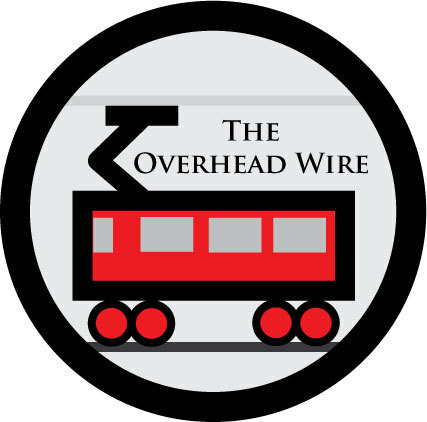 The Overhead Wire: "We Don't Dwell"
Yay FTA Models. You totally rule at figuring out ridership in new light rail cities. You did a bang up job in Minneapolis (24K in 2020, current 26k), really got those Houston numbers right for 2020 (33k in 2020, current 38k), and Charlotte was right on target(9k opening, current 14k). Note: the APTA daily numbers are a bit wonky. I don't know if I completely trust them to the rider but they make the point. The rail was projected to attract 26,000 riders per day, but the number is closer to 33,000, boosted in large part by weekend riders. That's right, you're in the New York Times saying the light rail is useful and full of people after you said no one would ride it. In fact, your institute is just like every other that goes around and spreads doom and gloom everywhere. And what is the fascination with subsidies? I guess I'll never get that end of the argument. It's insane behaviour, but when you look at the Arizona context, linked here, well, okay, it's still insane. Yes, and don't forget the fact that they insist light rail should be self-sufficient, but conveniently ignore the $3.5 billion in private investment made around the line since 2001 (also cited in the NYT article). And don't forget that rail is supposed to have the cord cut eventually; but highways? They need federal support forever, otherwise what would the federally-owned auto manufacturers use as infrastructure for their product? Everyone complains about the peanuts thrown at mass transit but always demand more public funds for road widening and highway construction. I guess they think mass transit might benefit a poor person, and we simply cannot have that. Don't forget municipal parking regulations, which let authorities deny you a building permit unless you build a certain minimum level of car parking. That's a hidden subsidy for car traffic. And a pretty hefty one too. Note: the APTA daily numbers are a bit wonky. I don't know if I completely trust them to the rider but they make the point. They're not wonky; they're just plain wrong. The normal way of counting passengers is that if you get on one line and switch to another, you're counted once. This is called linked trips, since you rode two separate lines linked by a transfer. The APTA way is to count you twice - it's called unlinked trips. Does the FTA actually run the ridership prediction models for the New Start transit lines? I thought that was done by consultants or the transit agency applying for the funds. Subsidies = money going to brown people. And that's basically their entire problem with it. It would be interesting to see the accuracy of transit projections to the accuracy of highway projections and see what the difference between them as a true indicator of the biased projections. Why is it that light rail ridership estimates are so low, but Bart estimates are so high? If only Bart could exceed expectations for once, rather than shooting for the moon every time. No they don't. The project sponsors (mostly transit agencies) develop the model, usually with the cooperation of the local MPO. But of course, if you want FTA's money, you have to play by their rules, which includes what you can or cannot assume in the model. As someone told me once, a few years ago FTA "locked down" all the models. Alon: there's no difference for Minneapolis, Houston, or Charlotte, since each of those cities has only one line. In general, I completely agree that unlinked trips are a bad metric though (and that's what the FTA uses too, I think) because it completely obscures the network effects that make for a truly successful transit system. Just once I would like to hear someone say that cars need to "pay their own way" They are subsidized to the tune of billions while mass transit is fortunate to get a few million. FTA actually did an analysis of predicted ridership vs. actual in January, and they came up with some rather different conclusions. This FTA document seems to disagree on the claims of lowballing generally, and on the Minneapolis line specifically. Does anyone have insight into why these numbers are so different? Absurd. Of course, the title of your post is perfect. So what if it’s subsidized, the street in front of your home is not being judged on a profit or loss basis for its existance. And neither should a rail line. What's wrong with the lowballing? It lets even underperforming LRT lines "exceed expectations", thus justifying them politically, no matter what the conditions on the ground actually are.